Every professional carpet cleaning service from Chem-Dry of Fair Oaks/Folsom starts with a consultation from one of our 5 Star Technicians. Each technician is able to determine the proper care for your carpet and answer all questions and address any concerns prior to beginning. The cleaning begins with deep vacuuming to remove all of the visible dirt and particles on the surface of the carpet. We vacuum behind and under furniture and along baseboards for best results. Then the technician sprays The Natural® onto the carpet. The Natural® is different from most carpet cleaning solutions because it contains no soap or chemicals. The solution uses the power of carbonation to lift dirt and allergens from carpet and expose them to our Hot Carbonating Extraction (HCE) equipment. This ensures that no soap or dirt is left behind and your carpets are 100% clean and healthy after the service. Even better, because HCE and The Natural® require 80% less water than steam cleaning and rental carpet cleaning machines, your carpet dries very fast. The last step is to rake the carpet. Raking the carpet helps the fibers stand up and the materials to dry faster. Chem-Dry of Fair Oaks/Folsom provides reliable commercial carpet cleaning to businesses in Fair Oaks, Folsom, Citrus Heights and Orangevale, CA. We offer flexible scheduling to meet the needs of your business and ensure you and your customers are in no way inconvenienced from our service. 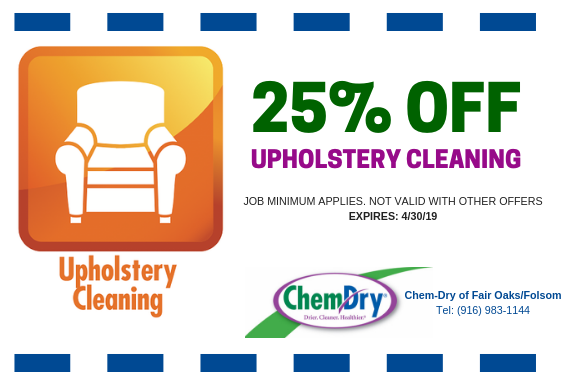 Professional upholstery cleaning for removal of dust and dirt from all types of fabric and furniture. 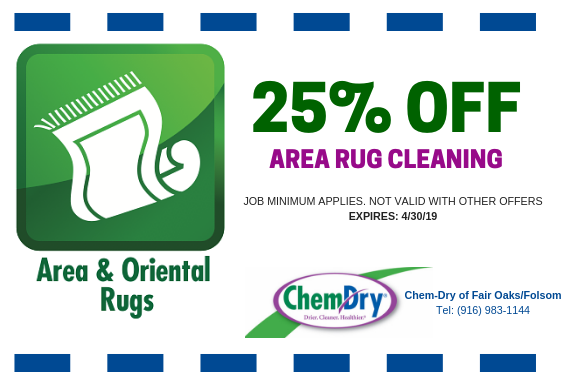 Area rug cleaning from Chem-Dry of Fair Oaks/Folsom to remove particles and toxins from rugs. Expert deep cleaning for stone floors, tile floors and grout to purge harmful bacteria from floors. P.U.R.T.® from Chem-Dry fights pet urine and pet urine odors at the molecular level for results. Receive a FREE ESTIMATE with our online form. 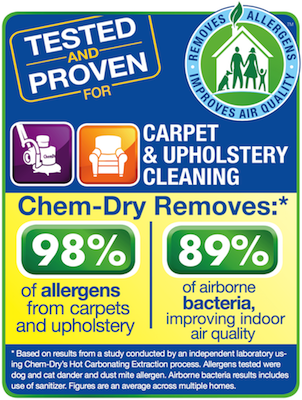 “I’ve tried many of the carpet cleaners near me and none of them do as good of a job as Chem-Dry. The service person was friendly and explained the whole process and even got out some very old stains too! Will definitely recommend Chem-Dry and use them again!” – Barbra S.
“I love that Chem-Dry is safe for my baby and for my dog. And my carpets look like new again too! 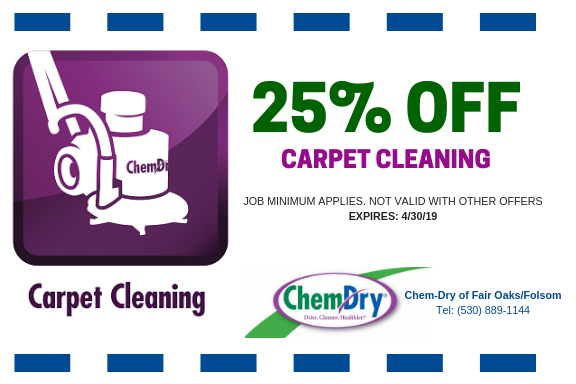 I will only use Chem-Dry from now on.” – Carlie T.
“Very professional and carpet looks new. The team was friendly and answered all of my questions. Would recommend Chem-Dry to friends.” – Jonathan L.
“Excellent results and fast and friendly service. One of the best carpet cleaning experiences I can remember. Very satisfied!” – Mike L.
“My carpets look and smell amazing! Definitely will use Chem-Dry again!” – Janet T.
We’re on Facebook: Follow our posts for recipes, service information, holiday planning and local news. Please leave a review for Chem-Dry of Fair Oaks/Folsom here. We love customer feedback! The City of Fair Oaks is located in beautiful Sacramento County, California. It is a part of the Sacramento-Arden-Arcade-Roseville Metropolitan Statistical Area. The American River and Ranch Cordova are on Fair Oaks south boarder, Citrus Heights is on the north boarder, Carmichael is on the west and Orangevale is on the east. 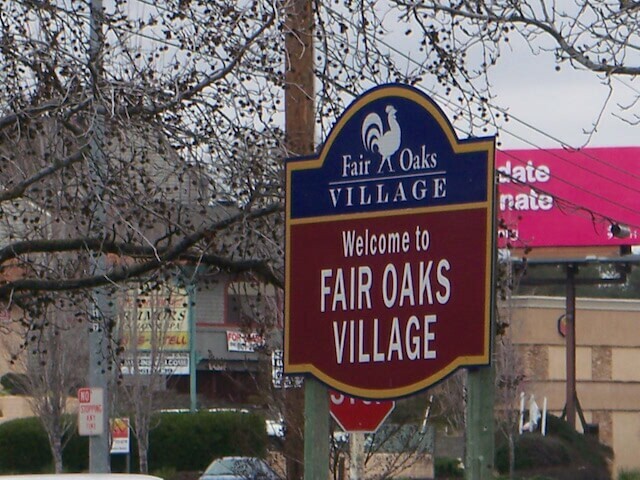 Fair Oaks is a good mix of suburban and semi-rural neighborhoods. Fair Oaks is a great place to raise a family with great parks, schools, neighborhoods and tons of convenient amenities. There are nine parks in the Fair Oaks region, covering 125 acres of land. Phoenix Park, Plaza Park, and Sailor are great places to enjoy scenic views, go for a stroll, or have a picnic. Sailor Bar is 114 acres with fishing, swimming, kayaking and hiking, and picturesque views of the American River. One of the beast features of Fair Oaks is the proximity to the American River. Enjoy fishing, hiking and biking, or simply the grand views of this beautiful river. Possibly the best way to experience the American River is with a leisurely horseback ride at Shadow Glen Riding Stable. Travel by horse up and down hills and through nature along the American River at Lake Natoma guided by knowledgeable wranglers. Fair Oaks offers quaint neighborhoods that boast craftsman style, historic and contemporary homes and much more. Winding Way Street is lined with beautiful oak trees and custom homes. With safe neighborhoods and communities there is the right home for just about everyone in Fair Oaks. Historic Old Fair Oaks Villages tree-line streets were founded in 1895 and is truly the heart of Fair Oaks with the antique shops, unique storefronts, and Amphitheatre. Family-owned Village Treasures offers local products like raw honey, chocolate, jewelry, artworks, quilts and much more. This dog-friendly shop supports local artists in the community and is a great place to find the perfect gift for just about anyone. The Treasured Home is a furniture painting studio and vintage market in Old Fair Oaks Village that has home décor, furniture, and exceptional home accessories. The Fair Oaks community has a large number of great places to grab a bite right in the area like Sunflower Drive-In, which offers an old-fashion drive-in with an updates natural food menu. This vintage style restaurant fits in prefect with the authentic motif of Old Fair Oaks Village. Local establishments, like Smokey Oaks Tavern, offer large craft beer, wine and cocktail selections. They have a wonderful selection of local craft beer. Ten of their twelve taps are devoted to local brews and their hearty menu features items prepared to perfection with their smoker. The tight-knit community of Fair Oaks has a full calendar of fun events like the Fair Oaks Fiesta in May which hosts old fashioned free games, arts and crafts, shopping, live music, food trucks, live music, and so much more. There are many events all year round in Fair Oaks like the Fair Oaks Chicken Festival in September, Car Show every May, Concert in the Park on Thursday nights all summer, and A Taste of Fair Oaks in June. Fair Oaks is a great place to live, raise a family, and work. We are proud to serve this community.